Over the last two decades cochlear implantation has become an important modality of treatment for children with severe to profound sensory-neural hearing loss which do not benefit from hearing aids. Over this period the outcome of cochlear implantation has also dramatically improved. This has been attributed primarily due to the improvement in technology and surgical technique. However the final outcome in pediatric implantation is yet not entirely predictable as there are a large number of factors which alone or in combination will decide the outcome of cochlear implantation. Selection of candidates for cochlear implantation is a process that has evolved greatly over the past several years. Candidacy guidelines indicate that it is appropriate to provide cochlear implants to persons with increasing amount of residual hearing, to persons with increasing amount of preoperative open set speech perception skills, and to children as young as 12 months of age. These changes are largely due to the fact that individual are obtaining remarkable results with cochlear implants. There are a large number of studies on multivariate predictors for cochlear implantation outcome in postlingually deafened adults, but so far there are no such studies in prelingually deafened children. The primary aim of this study is to develop predictors of audiological, speech, and language achieved by the recipients of multichannel cochlear implants. Firstly, individual parent could make informed judgments of the benefits they might personally receive from implantation of their child. Second, purchagers and providers of health care could identify the patients who would gain most or least from the treatment. Third, the following implantation hospital team could identify patients who were underperforming relative to expectations and are, therefore, candidates for additional rehabilitative effort. Lastly this will give us insight into outcome of cochlear implantation in Indian scenario where the medium of habilitation is in vernacular languages. We do not have any published data on this aspect. The aim of the study was to evaluate prospectively the relative impact of multiple pre-, per-, and postoperative factors both child-related and parental factors on the outcome of cochlear implantation in prelingually deaf children below the age of 5 years in Indian scenario. One of the primary aims of the study was to develop a preoperative predictive model of audiological success of cochlear implant recipients. To develop a predictive model for outcome of cochlear implantation in children below 5 years of age using the above data. The study was carried out at Department of ENT-HNS at a tertiary referral center from October 1, 2007 to March 31, 2009. The study group consisted of 30 children screened from the patients who attended the outpatient clinic with complaints of hearing, speech or language impairment. The study group consisted those children who fit into the candidacy norms for cochlear implantation. The following inclusion and exclusion criteria were applied to all the selected subjects in the study. Children with bilateral severe to profound sensori-neural hearing loss. Age less than 5 years. Incomplete insertion of cochlear implant assessed by intra-op neural response telemetry. Explantation on account of any reason. Informed written consent was taken from the parents for the study and follow-ups required during the study. A detailed history and thorough physical and ENT examination was carried out. The subjects then underwent pediatric examination to rule out any neurological condition, which may hamper the child's postoperative performance. Behavioral observational audiometry, auditory brainstem response thresholds and auditory steady-state response was determined to evaluate the degree of hearing loss. To exclude abnormal anatomical variants from the study. Speech perception was also assessed by categories of the auditory performance (CAP) test which was used as an index of outcome of cochlear implant on speech perception. The child was also evaluated by a child psychologist to determine the IQ. Counseling of parents was done regarding regular follow-ups and therapy/support to the child at home. They were also made to realize the realistic expectations about the cochlear implant. It is of paramount importance to that they realize that a cochlear implant does not produce a normally hearing child but rather that an implant is a very sophisticated hearing aid, without which the child remains deaf. Now these children underwent intervention in the form of NUCLEUS 24 CI 24M cochlear implant by one constant team of cochlear implant surgery. CAP consists of a set of eight indices of performance, ranges from no awareness of sound to using telephone. The children were assessed prior to implantation, immediately at switch on, at 3, 6, and 12 months postimplant. MAIS consists of 10 questions or probes about which the information is obtained during a structured interview with the child's parents or guardian. Probes 1 and 2 assess device bonding, probes 3 through 6 assess spontaneous alerting to sound, and probes 7 through 10 assess the ability to derive meaning from auditory event. The response to each probe is scored on a scale of 0-4. The children were assessed prior to implantation, immediately at switch on, at 3, 6, and 12 months postimplant. The end-point results for three outcome measures were taken as per [Table 1]. The factors chosen for the study are those which are presently considered relevant and can be measured objectively. These are grouped into subject-related and parental factors and have been numerically scored. Age of onset: it is believed that postlingually a deaf child will do better if implanted within a particular period after auditory deprivation than their prelingual counterparts. Duration of auditory deprivation and use of hearing aid: it is believed that the period of auditory deprivation is inversely proportional to the outcome as myelination of the nervous system is in progress in the present study group. Age at implantation: the hypothesis is that in a prelingualy deaf child early intervention in the form of cochlear implantation will improve the outcome. Intelligence quotient: a child with higher IQ should do better than the child with low IQ. Degree of hearing loss: a patient with some amount of residual hearing should do better than the children without residual hearing. To quantify these audiological tests will be taken into account. Educational level: well-educated/informed parents will be better trainers; mother's education level will have more impact than the father's. Good family support and commitment of parents toward regular follow-up and AVT will affect the outcome of cochlear implant. 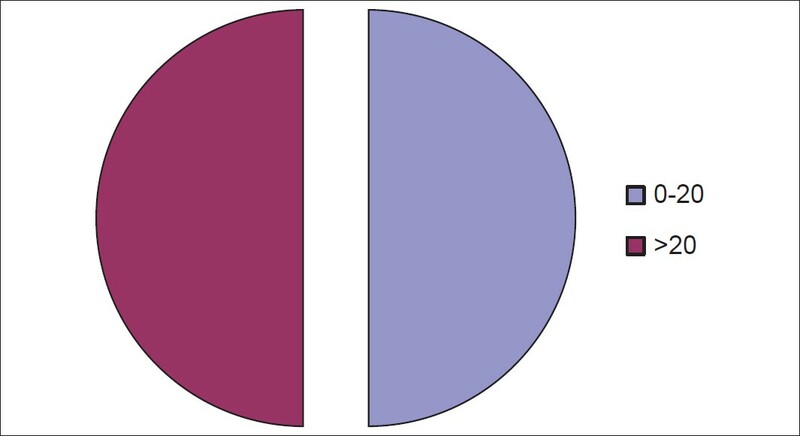 Language spoken at home vs. used at speech therapy center, if not same then it will have an adverse effect on outcome. logistic regression analysis (LRA) to apply this model to a larger population. The study group consisted of 30 children selected from the children who attended ENT outpatient department at a tertiary referral center from October 1, 2007 to March 31, 2008. A total of 30 children were screened who were complaining of hearing, speech, and language impairment and who fit into candidacy norms for cochlear implantation were enrolled for the purpose of study. One child was excluded because of no follow-up and another child was recruited from the subsequent implantees and the final cohort was 30 (n = 30). Out of these 30 children, 14 children were less than 30 months of age and 16 above 30 months at the time of implantation; the youngest child was 11 months of age and oldest was 56 months. The mean age at implantation was 35.1 months. A total of 16 children were male and 14 were female. All the children were nonsyndromic without any other congenital anomaly. All the children except two were without any perinatal insult, of which one had preterm twin delivery and NICU exposure and other had VSD opted at 6 months of age. The motor milestones were attained at appropriate age except for slight delay for four children. The age of onset of hearing loss was congenital for 28 children and 2 years for 2 children. Etiology was unknown for 28 children and meningitis for 2 children. Five children were above average and 25 children had average IQ. There were 14 children with residual hearing up to 90 dB and 16 children were above 90 dB [Figure 1]. There were no physical or ENT diseases at the time of implantation. The duration of auditory deprivation ranged from 9 months to 43 months with mean 23 months, 15 children were having duration of auditory deprivation less than 20 months, and 15 were above [Figure 2]. There were 10 mothers educated up to matric, 11 up to high school, and 9 up to graduate level [Figure 3]. Twenty-two children were well supported in there rehabilitation at home and 8 were less supported; this was identified by a personal interview by the mother, follow-ups at the AVT center, use of hearing aid, general hygiene of the child, etc. A total of 25 children were using same language at home as at the AVT center and 5 were using different languages, but their parents were involved regularly in AVT along with the rehabilitants [Figure 4]. A total of 12 children had per-op NRT up to 190 eV and 18 had NRT above 190 eV [Figure 5]. 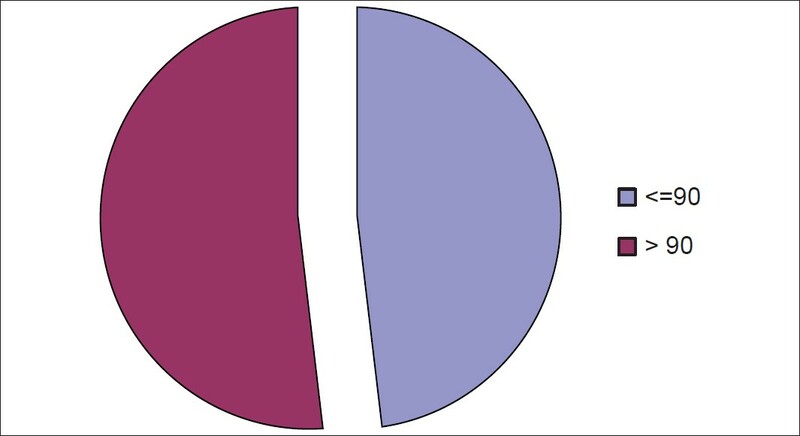 MAIS scores at 3 months were calculated and studied for various factors using a Chi-square test. The P-value and odds ratios were calculated using the software SSPS. The P-value was found to be significant for age at implantation, duration of auditory deprivation, and residual hearing. The odds ratio calculated for these factors were 10, 17.14, and 12.60 respectively. The P value for other factors was not found to be significant. MAIS scores at 6 months were calculated and studied for various factors using the Chi-square test. The P value and odds ratios were calculated using the software SSPS [Table 2]. The P-value was found to be significant for age at implantation, duration of auditory deprivation, and residual hearing. The odds ratio calculated for these factors were 9.75, 17.14, and 28.0 respectively. The P-value for other factors was not found to be significant. The P-value for MAIS at 12 months was also found to be significant for age at implantation, duration of auditory deprivation, and residual hearing. The odds ratio calculated for these factors were 21.66, 17.58, and 9.75 respectively. SIR scores at 3 months were calculated and studied for various factors using the Chi-square test. The P-value and odds ratios were calculated using the software SSPS [Table 3]. The P-value was found to be significant for age at implantation, duration of auditory deprivation, and residual hearing. The odds ratio calculated for these factors were 21, 13.75, and 5.78 respectively. SIR scores at 6 months were calculated and studied for various factors using the Chi-square test. The P value was found to be significant for age at implantation, duration of auditory deprivation, and residual hearing. The odds ratio calculated for these factors were 9.75, 5.78, and 7.47 respectively. The P-value for SIR at 12 months was also found to be significant for age at implantation, duration of auditory deprivation, and residual hearing. The odds ratio calculated for these factors were 16.88, 7.58, and 17.50 respectively. CAP scores at 3 months were calculated and studied for various factors using the Chi-square test. The P-value and odds ration were calculated using the software SSPS [Table 4]. The P-value was found to be significant for age at implantation, duration of auditory deprivation, and residual hearing. The odds ratios calculated for these factors were 9.75, 37.50, and 5.78 respectively. CAP scores at 6 months were calculated and studied for various factors using the Chi-square test. The P-value was found to be significant for age at implantation, duration of auditory deprivation, and residual hearing. The odds ratio calculated for these factors were 3.79, 16.88, and 12.60 respectively. The P-value for CAP at 12 months was also found to be significant for age at implantation, duration of auditory deprivation, and residual hearing. The odds ratio calculated for these factors were 5.78, 17.14, and 7.71 respectively. From our study on determining predictors of cochlear implant outcome three factors have emerged out as the direct factors which influenced the outcome and had a strong correlation with the outcome. 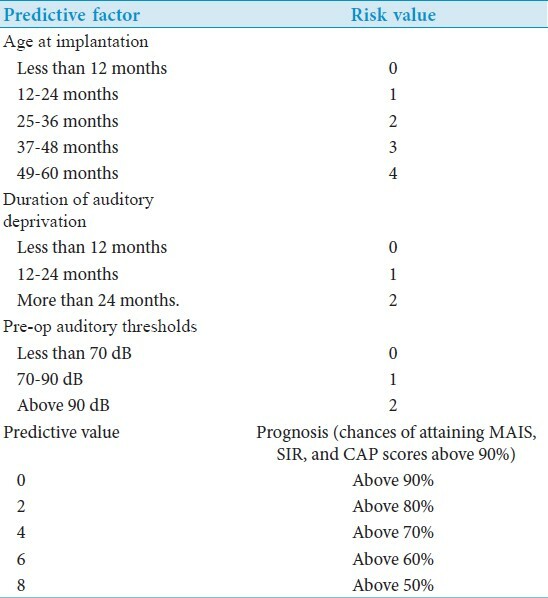 These factors namely age at implantation, duration of auditory deprivation, and the preimplant residual hearing affected the outcome all the time during the study. Research and observation suggest that spoken language performance results are best for those who are implanted prior to age 3. This is the time when the brain most readily adapts and masters language. For children implanted at the youngest ages (prior to 18 months), spoken language appears to emerge most naturally. Based on the outcomes observed in many young implanted children, it appears that the simulated sense of hearing offered through a cochlear implant can offer an excellent opportunity for a child to progress in language "developmentally" rather than "remedially." Our study strongly correlates the duration of preimplant auditory deprivation and the outcome. This is commensurate with the past studies in the literature. ,,,,,, The shorter the period of time from the identification of deafness to the time of cochlear implantation, the easier it tends to be to develop spoken language. It appears that the less time the auditory channels remain dormant and unused, the greater the chance for these pathways to be ready and open to accept the new incoming information available through the cochlear implant. Similarly the preimplant residual hearing is statistically significant for the outcome. The effect of residual hearing on implant outcome has not been studied vastly. It has been hypothesized that patients with substantial, preoperative residual hearing would be excellent cochlear implant candidates because of surviving neural populations and a lack of auditory deprivation. Based on these observations we have derived a predictive model for the outcome of cochlear implantation in children below the age of 5 years [Table 5]. Since the three statistically significant factors are strongly correlated with the outcome, the numerical risk value system is developed for each factor. The risk value is inversely proportional to the outcome and hence lesser the total risk value higher the chances for better outcome in the form of better outcome score in CAP, SIR, and MAIS scoring systems. Emphasis is given to early detection of deafness in early years of life. These children should be provided with any kind of auditory stimulation either a cochlear implant or a high gain hearing aid. The predictive model developed for the outcome can be used for the prognosis of cochlear implantation during preimplant counseling of the parents. 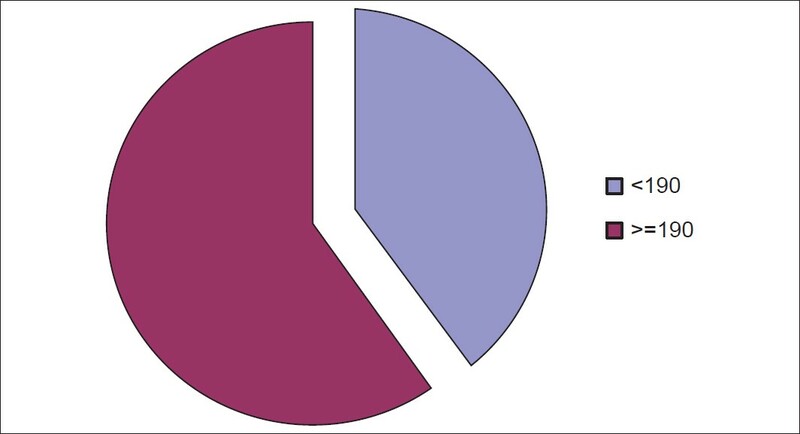 This can also be used to calculate the cost effectiveness of the cochlear implantation in the institution. Can be utilized to develop the priority groups for implantation especially in developing countries where the resources are limited than the disease burden. 1. Shipp DB, Nedzelski JM. Prognostic indicators of speech recognition performance in adult cochlear implant users: A prospective analysis. Ann Otol Rhinol Laryngol Suppl 1995;166:194-6. 2. El-Hakim H, Abdolell M, Mount RJ, Papsin BC, Harrison RV. Influence of age at implantationand of residual hearing on speech outcome measures after cochlear implantation: Binary partitioning analysis. Ann Otol Rhinol Laryngol Suppl 2002;189:102-8. 3. Archbold S, Harris M, O'Donoghue G, Nikolopoulos T, White A, Richmond HL. Reading abilities after cochlear implantation: The effect of age at implantation on outcomes at 5 and 7 years after implantation. Int J Pediatr Otorhinolaryngol 2008;72:1471-8. 4. Green KM, Bhatt YM, Mawman DJ, O'Driscoll MP, Saeed SR, Ramsden RT, et al. Predictors of audiological outcome following cochlear implantation in adults. Cochlear Implants Int 2007;8:1-11. 5. Adunka OF, Buss E, Clark MS, Pillsbury HC, Buchman CA. Effect of preoperative residual hearing on speech perception after cochlear implantation. Laryngoscope 2008;118:2044-9. 6. Cullen RD, Higgins C, Buss E, Clark M, Pillsbury HC 3 rd , Buchman CA. Cochlear implantationin patients with substantial residual hearing Laryngoscope 2004;114:2218-23. 7. Rubinstein JT, Parkinson WS, Tyler RS, Gantz BJ. Residual speech recognition and cochlear implant performance; effects of implantation criteria. Am J Otol 1999;20:445-52. 8. Friedland DR, Vernick HS, Niparko JK. Choice of ear for cochlear implantation; the effect of history and residual hearing on predictive post op performance. Otol Neurotol 2003;24:582-9.